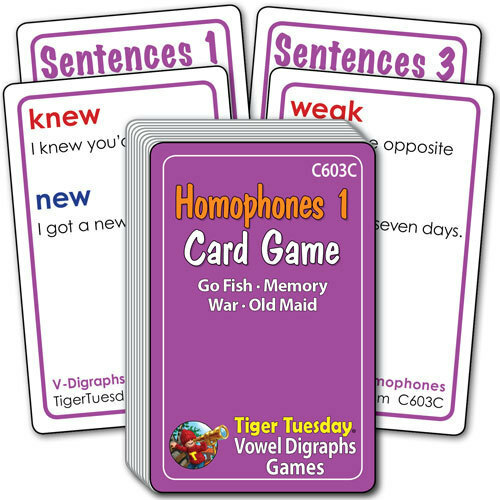 Use card games to help kids learn which is which and how to spell those tricky homophones! With one deck of Homophone cards, young readers learn about words that sound the same but are spelled differently, and how to use them. Games played by the rules of Go Fish, Memory, Old Maid or War.